Four affordable carry guns go head to head on the range. More states with "shall-issue" carry laws and a tremendous number of freshly minted concealed-carry permits have sparked a huge increase in the number of pistols aimed at the concealed-carry market. More options are usually a good thing, but it's not easy to sort the wheat from the chaff in the pistol market. A high or low price is not always a good indicator of a given pistol's quality, but it is one of the biggest factors influencing many shooters' handgun selection process in these tough economic times. If the letters we've received from readers asking for an objective comparison test of affordable carry guns are any indication, Handguns readers have not escaped these trying times. To help those readers and to satisfy my own curiosity, I recently assembled some inexpensive, compact 9mms for an extensive comparison test. My first criteria was, of course, price. Because it allowed me to include some of the more popular budget-priced offerings, I set the price ceiling at $499. With a little digging, you should be able to get all the guns tested here for a street price of $300 to $429. Because of a paucity of striker-fired offerings that fit this price point, I ended up with two double-action/single-action guns, a double-action-only design and a striker-fired pistol. All have their good and bad points, but striker-fired guns are increasingly popular because of their lighter trigger pulls. All the testers like the generous sights on the Cougar. I tried to stick with offerings that are marketed as compact, concealed-carry pistols. I used 3 3/4 inches as a maximum barrel length, but I still ended up with a pretty big size disparity between the largest and smallest. However, even the largest pistol in the group can be effectively concealed by the average person. My final selection criterion was reputation. These are not the only inexpensive pistols that fit my price and size criteria, but the four I chose were recommended to me by gun dealers and firearms instructors I know and trust. Bersa's Thunder 9 Ultra Compact Pro has a name so long it barely fits on the compact pistol's slide. The Ultra Compact's alloy frame has an integral Picatinny-spec accessory rail. The grip houses the gun's 10-round magazine (which we tested; a 13-rounder is also available). Its frontstrap is grooved, and the backstrap is covered by wraparound, checkered plastic grip panels. The Argentine import's slide houses a 3 1/2-inch barrel with polygonal rifling. The fixed rear sight has a bold white outline, and the front has a white dot insert. A loaded-chamber indicator is recessed into the top of the slide at the rear of the ejection port. A stout ejector is fitted into the right side of the slide just aft of the ejection port. The Thunder Ultra Compact is a traditional DA/SA design; the first shot is fired double-action, and subsequent shots are single-action. The test gun's double-action pull is a hefty 12 pounds, one ounce, while the single-action pull is five pounds, 15 ounces. The ambidextrous safety also acts as a decocker, and the slide release is ambidextrous as well. The magazine release is situated behind the trigger on the right side of the gun, but it is reversible for southpaw shooters. The takedown lever is above the trigger on the left side of the frame. We all liked the Bersa's looks and features. The trigger reach is too long for me, and its grip is too fat for my hands, but the other guys said the grip and trigger felt great. Kel-Tec's new PF-9 is an ultra-slim, compact carry gun. My test gun's double-action-only trigger breaks at six pounds, two ounces. It has a polymer frame with a minimum number of controls: magazine release, takedown button and slide release. The grip frame has molded-in, hand grenade-style panels that help keep wet hands from slipping. The front- and backstraps sport molded-in striations for better traction. The grip houses a seven-round, single-stack magazine. The front of the frame has an integral Picatinny accessory rail. The PF-9's steel slide is very trim. It has six grasping grooves aft and a robust extractor recessed into the right side. Compact sights are fitted to the top of the slide. The polymer rear sight has two white dots, while the front has a single white dot. The PF-9 is the smallest, lightest pistol in the test. It is also the least expensive. Based on my positive experiences with Kel-Tec's P3AT, I had high hopes for this one going into the testing. NOTES: * Overall length/width/height. Capacities and prices are as-tested. Rating is based on each gun overall. 5 Stars, Superior; 4 Stars, Above Average; 3 Stars, Average; 2 Stars, Below Average. The Turkish-built Cougar was designed to give value-conscious shooters an affordable, near-carbon-copy of the fine Beretta Cougar. The Stoeger version is an alloy-framed, steel-slide, double-action design. It is the largest pistol in the test, but its 3.6-inch barrel earned the pistol its compact rating. The short-recoil, locked-breech design features a unique rotating barrel. The barrel is housed in a robust slide that also boasts a beefy external extractor. Excellent sights with white, three-dot inserts are dovetailed into the slide top. The rear of the Cougar's slide has an ambidextrous safety that also serves as a decocking lever. The takedown lever is just above and ahead of the trigger guard. The slide release has a slightly oversized shelf to make it easier to activate for shooters with small hands. The reversible magazine catch is located in the usual location just aft of the trigger guard. The Cougar has a traditional DA/SA trigger. The double-action pull breaks at 13 pounds, two ounces, while the single-action trigger breaks at six pounds, four ounces. It's a pretty smooth pull, although the long trigger reach made pulling it a bit of a chore for me. The Cougar's grip is the longest of all the test guns, but it houses a best-in-class 15-round magazine. Its plastic grips are slightly checkered, and the front- and backstraps are grooved. Both add considerably to the Cougar's shootability and good looks. The PT 709 is an ultra-compact, polymer-framed beauty designed for deep concealment. It is a striker-fired design with a single-action trigger and repeat-strike capability. Should a stubborn primer need a second strike, pulling the trigger again should send the round on its way. You may never need this potentially life-saving feature, but it's nice to know it's there if you do. The Slim's polymer frame has an oversize trigger guard, yet the design is sleek and snag-free. The frame houses four small steel slide-rail inserts and a reversible, low-profile magazine release. The grip is grooved on both sides and has a bit more texture molded in to the front- and backstraps as well as small thumb rests on both sides. The Slim's controls include matching takedown levers on each side of the frame, a slide release and a low-profile safety lever. Manual thumb safeties are a bit unusual on striker-fired pistols, but the PT 709's is there if you want it--and out of the way if you don't. The Slim's slide houses its 3.2-inch barrel and adjustable, polymer sights. The front sight has a single white insert, and the rear has two white dots for improved low-light visibility. The rear sight sits very low on the slide. I really liked the Slim's size, weight and five-pound, 14-ounce trigger pull. Testers liked the Bersa's combination of compact size and magazine capacity. Before shooting the test guns, I examined them closely as I cleaned and lubricated each of them. Then I headed down to the ranch with three friends to put all four guns through their paces. My friends ranged in height from 5'8" to 6'1" with average to large hands, while I am 5'3" with small hands. One is an experienced IDPA competitor, another is a lifelong recreational shooter, and the third is a police firearms instructor who has worn a gun just about every day for the last 20 years. Between us, we have a tremendous amount of handgun experience with a wide variety of guns. As good as my friends are, shooting tiny groups is not something many pistols shooters are good at, so I did the 15-yard accuracy testing myself. However, I did ask the guys to test the guns' offhand accuracy from the seven-yard line. I also asked them to do some rapid-fire work, including El Presidentes and double taps from the Low Ready position. We fired 300 rounds out of each pistol in total and then rated each gun's trigger, sights, ergonomics, fit and finish, ease of use and controllability. Obviously, there was a fair bit of difference in the controllability and rapid-fire accuracy between the beefy Stoeger and the flyweight Kel-Tec, for example, but I asked each of my testers to rate each gun on a scale of one to five, with one being poor and five being superior. I was a bit surprised to see the Taurus come out on top in the offhand accuracy evaluation as well as my own 15-yard benchrest test because of its diminutive size, light weight and small sights. However, all the shooters shot phenomenally well with the Taurus. The Stoeger was a very close second, and the Bersa was right on its heels. The tiny Kel-Tec shot okay, but it was tough to shoot tiny groups with it. Each pistol's sight rating was in lock-step with its accuracy. The Taurus' sights were excellent despite their small size, and the Stoeger's three-dot arrangement was brilliant. All of us felt the white outline on the Bersa's rear sight was overpowering, and we agreed that the Kel-Tec's sights were just too darn small and that the rear notch needed to be wider. Controllability during the rapid-fire drills went exactly as I expected: The heaviest gun got the highest marks and the lightest gun came in last. Accuracy with all four during the rapid-fire drills was excellent, and there were no reliability or accuracy issues. The only problems were related to the grips of three of the guns. Two shooters' hands got pinched between the Taurus' trigger guard and frame. The same two reported that the Stoeger's disassembly lever repeatedly hit their support hand thumb. Everyone but me got a nice case of slide bite on the webbing of their hand from the Kel-Tec. The Taurus and Kel-Tec were considerably smaller than the other two pistols, but all were concealable. Reloading was fast and easy for the most part, but the Kel-Tec's magazine really had to be rammed home. Disassembly and operation of the controls of all four guns was pretty straightforward. The Kel-Tec's controls were the hardest to hit, but it was designed to be a low-profile carry piece, and the controls are intentionally small. The Taurus has a tiny magazine release lever but, once again, I don't think that's a major issue given its intended role. It should come as no surprise that the Taurus' single-action, striker-fired trigger came out on top. Bersa's traditional DA/SA design was fairly smooth, but it was too heavy and the trigger reach too long for my taste. The Stoeger's DA/SA trigger pull was a little heavier, but it was noticeably smoother than the Bersa's, and the double-action trigger reach was considerably shorter. The Kel-Tec's should have gotten higher marks, but its pull was gritty, and the pull weight was inconsistent--with weights varying by more than a pound for a 10-pull string in our early testing. However, I suspect some sort of burr was the culprit because the trigger smoothed out to a nice, consistent six pounds, two ounces when I returned to the range for my accuracy evaluation. All four guns were pretty solid in the fit-and-finish department, but the Stoeger and Taurus were neck and neck for the top spot. The Bersa was also very well made, while the bargain-priced Kel-Tec brought up the rear. It functions like a solidly built gun, but it isn't in the same class as the other three pistols. Then again, the Kel-Tec costs $100 less than the others. All four of the test pistols ran flawlessly and shot at least reasonably well, and none had any serious defects or issues. 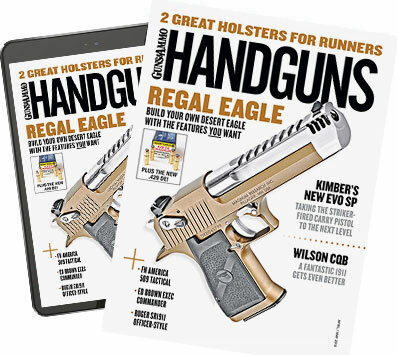 Taurus' PT 709 Slim was overall winner, but rating the rest is complicated because, truth be told, there is no fair way to compare a flyweight, $300 pistol to a two-pound pistol costing 50 percent more. If size and weight were my top concern, I would choose the Taurus or the Kel-Tec. On value, the Kel-Tec wins hands down. But if magazine capacity was important and my hands were big enough to comfortably reach the trigger of the Stoeger or Bersa, one of those guns might be my choice. If I were in the market for one of these, I would choose the Taurus Slim for its compact size, trigger and accuracy, but your top pick should be determined by your needs.